Welcome to our website. After visiting here, we hope you will join us Sunday mornings at 10:00 AM for a family worship service of Holy Communion. Come and visit and we'll do our best to make you feel welcome and at home. Church-going experience is not required -- just a desire for community and spiritual fellowship. We are a smaller congregation and our office is staffed three days a week, Monday, Wednesday and Thursday, from 10:00 AM until 2:00 PM. Our phone number is 360-275-8450. When you call, you may get an answering machine. Please leave a message, as we check our messages often and we will get back to you as soon as possible. 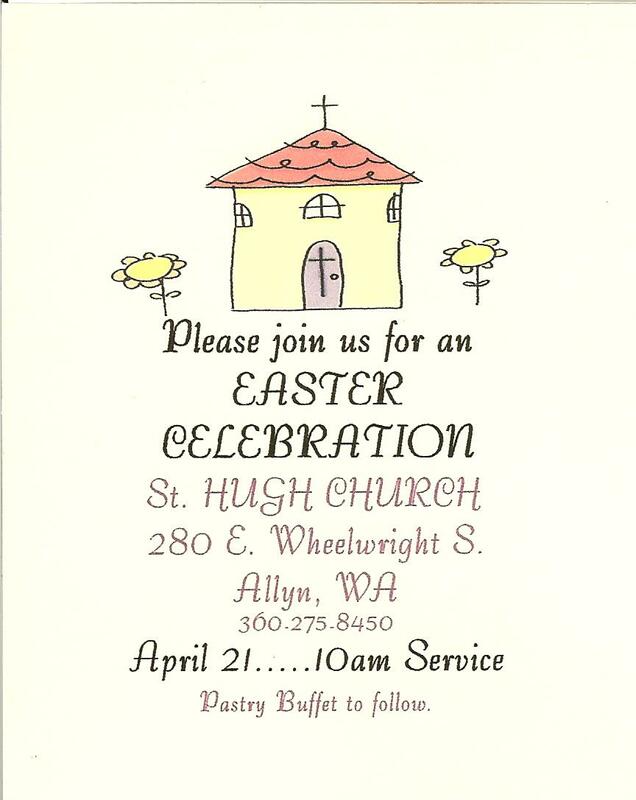 St. Hugh is a Total Common Ministry Congregation of the Diocese of Olympia, the Episcopal Church in Western Washington. The worship and practice of the Episcopal Church is centered in the Sacraments and the Sacrament of Holy Communion (Eucharist) is our primary form of worship. 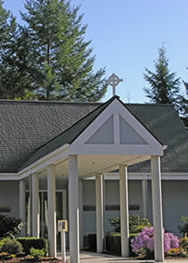 Like most Episcopal churches, we're a family-sized congregation. However, unlike traditional Episcopal churches, our clergy are locally trained, side by side with other leaders called by the congregation to serve. In Total Common Ministry, we “unpack the one man band,” the hierarchical model of ministry. We believe that we are gathered to be a ministering community, rather than a community gathered around a minister. This transformative model, rooted in our Baptismal Covenant, stresses that every member of the body has been given gifts, and has been called to serve God and community in a particular way. Of our six regular preachers, four are members of the congregation who are not ordained but who have been licensed by the Bishop to serve in this way, and two are ordained priests. Having many preachers means that we have a rich variety of voices and perspectives in the pulpit. We have five ordained clergy, both active and retired, and another four in the Diocesan process that can lead to ordination. Having many clergy members is an outward and visible sign of the importance of the sacraments in our worship. family, you did it to me." 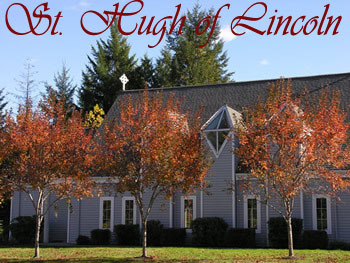 None of our members or clergy receives a salary from St. Hugh, which means we have more resources to help in outreach to the larger community. Our outreach ministries cover a wide range of community needs. If you desire to serve, you will find many opportunities here. the dignity of every human being?" We are a progressive, inclusive, and forward-looking congregation. We are committed to welcome and include ALL people in our life and worship. We are sensitive to issues of peace and justice in the world. We dedicate one service a month to special prayers with this focus. Our outreach ministries reflect an emphasis on the theology and practice of social justice issues. Our various group studies are wide-ranging, open-minded, and often challenging. We also know how to have fun. "Introduction to Total Common Ministry"